Basically there are three “tests” that must be passed for an injured worker to be eligible for Longshoreman Workers Comp. In this article our Long Beach Longshore Lawyers explain how to determine if you many qualify for these benefits. others performing traditional maritime employment. However, there are express “exceptions” that are specifically excluded from the definition of a maritime employee. And while these excepted class cannot collect Longshore Workers Comp, their employer must covered them under their state’s workers’ compensation law. Employees whose injuries were caused solely by their own intoxication, as well as employees whose injuries were due to their own willful intention to harm themselves or others are also ineligible for Longshoreman Workers Comp. On any other adjoining area customarily used by an employer in loading, unloading, repairing, or building a vessel. Waters that are, have been or may be used to transport interstate or foreign commerce. Even if the employee meets the “status test”, and the location of the injury meets the “situs test”, the worker must still prove that they are suffering from a work related disability that renders them unable to earn the same wages that the employee was receiving at the time of injury. A medical doctor must certify that the employee is not able to work. If the injured employee shows he or she is unable to return to work for medical reasons and is still recuperating from the work injury, their will qualify for “temporary” Longshore benefits. However, if the injured employee can prove that their medical condition has become stable and is not expected to improve, they will qualify for “permanent” Longshore Workers Compensation. Similarly, if the employee can prove that they cannot do any work due to the work-related injury, they will be eligible for “total” disability payments. However, if they can only show that they cannot do the same they were doing before, but can work in a light or modified job, they will qualify for “partial” Longshore Workers Compensation. 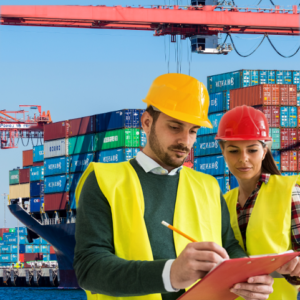 If you were injured or made ill while working in a maritime environment, we encourage you to call on our skilled and experienced Long Beach Longshore workers Comp attorneys. We have obtained millions of dollars in settlements for longshore, maritime and dock workers in Southern California and across the United States.